Stainless steel is the preferred choice across a great many construction and installation applications, but its especially prized in the food, laundry and chemical industries. 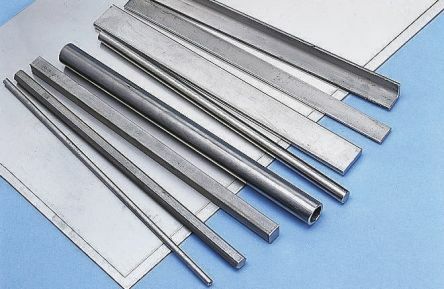 You can buy stainless steel in a wide range of useful formats, shapes and sizes - much like any of the other versatile sheet and tube metals we have available, including aluminium. What types of stainless steel products do you offer online? Stainless steel sheets - in various thicknesses and tensile strengths, for both construction and design applications. Stainless steel tubes - a range of inner and outer diameters, thicknesses, hardness and thermal conductivity ratings. Stainless steel angles - L-shaped angles for bracketing, support, cagework, finishing and door/worktop trim. 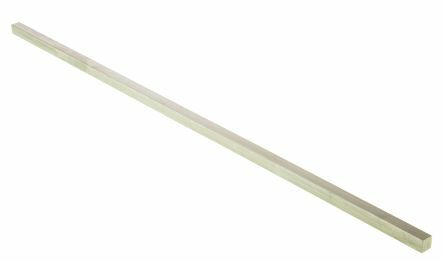 Stainless steel rods and bars - rectangular bars, square bars and round rods in a range of densities and strengths; ideal for food, laundry, process, chemical, marine and automotive uses. What are the key properties of stainless steel? What are the different grades of stainless steel? Austenitic stainless steels which are highly resistant to corrosion due to their Molybdenum content. They are non-magnetic and suitable for applications such as photographic, food, chemical and marine equipment. 316TI Stainless Key SteelGrade DIN 1.4571. Få hjälp att hitta rätt produkt!